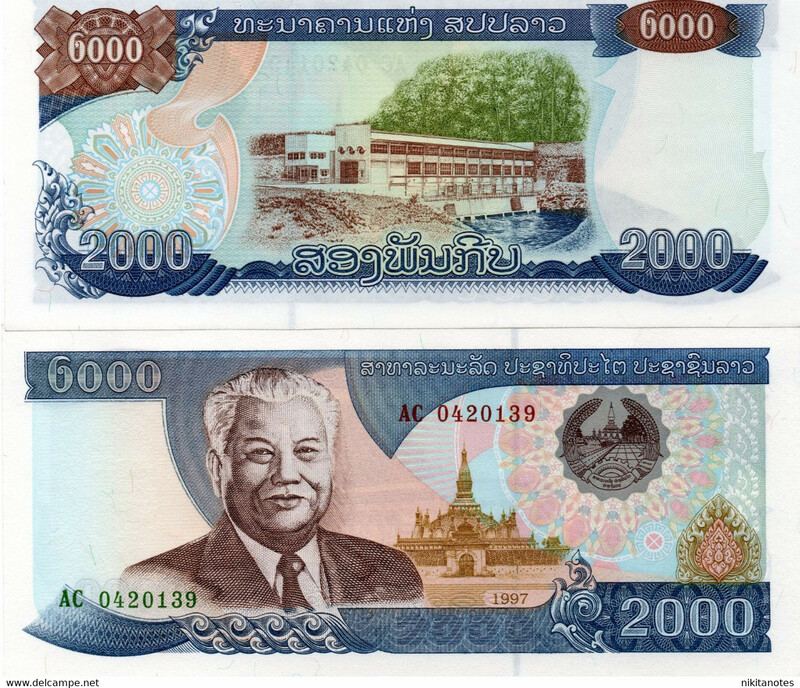 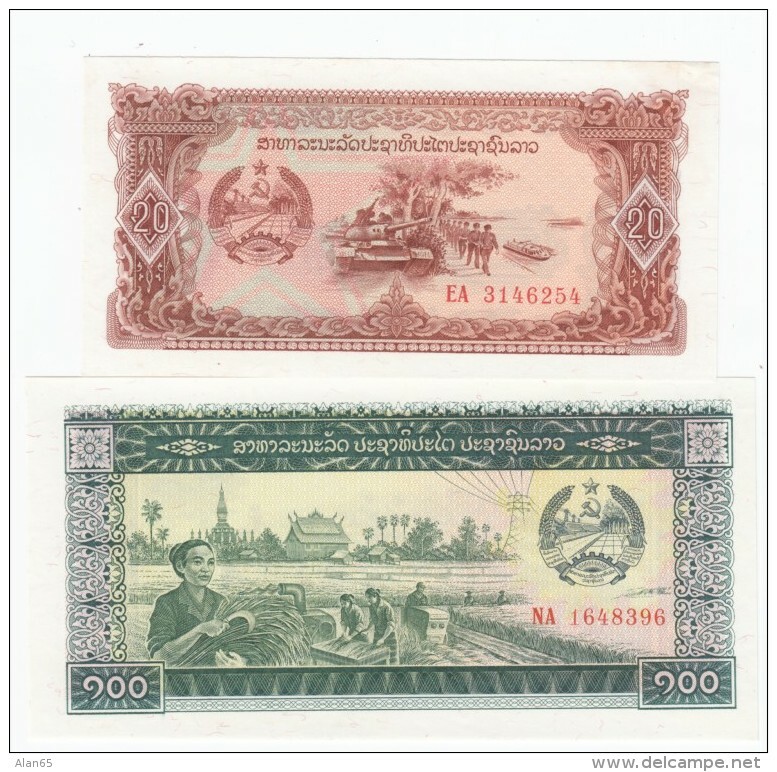 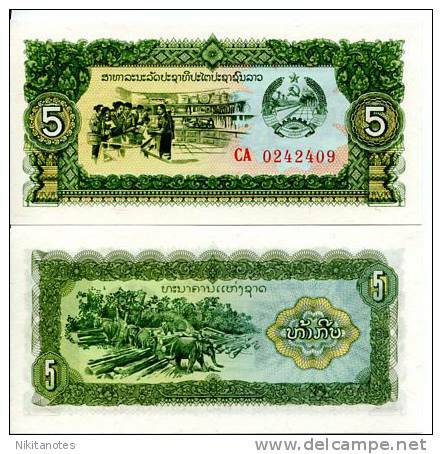 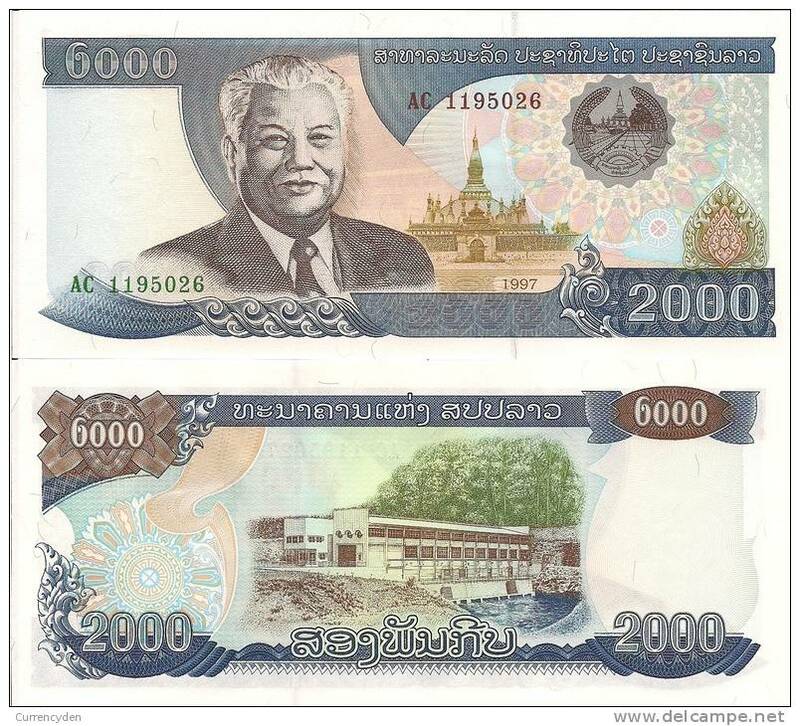 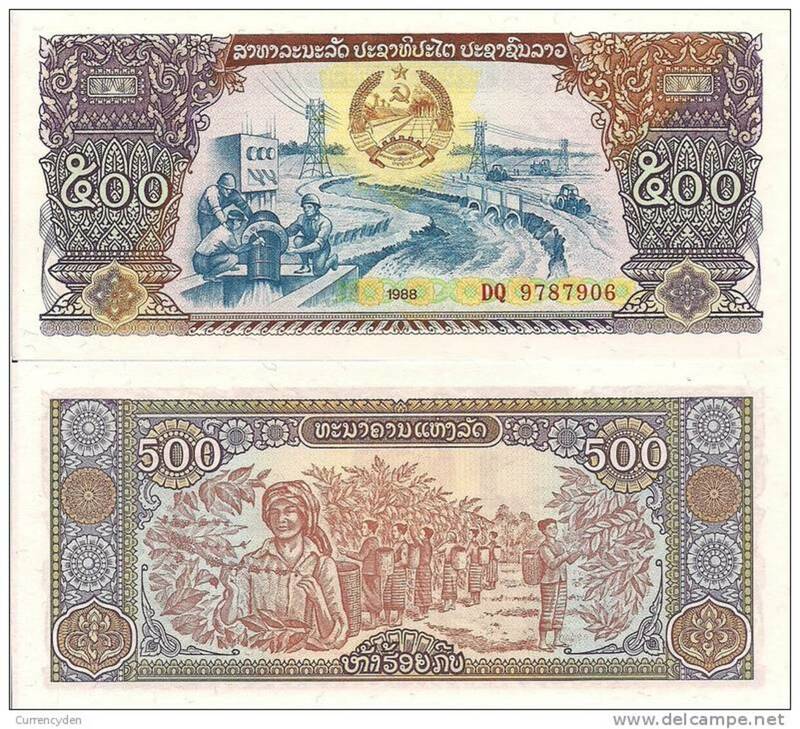 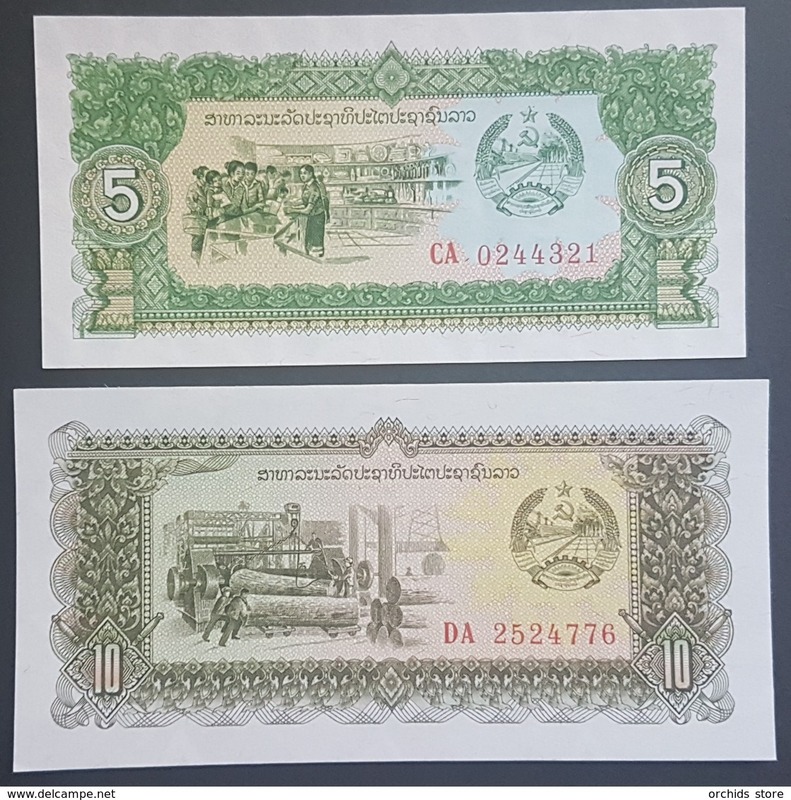 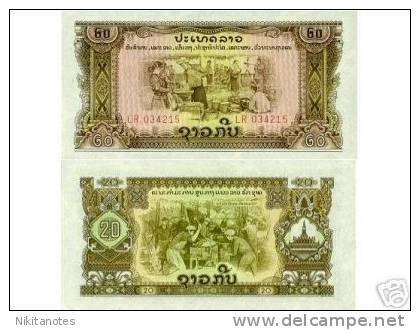 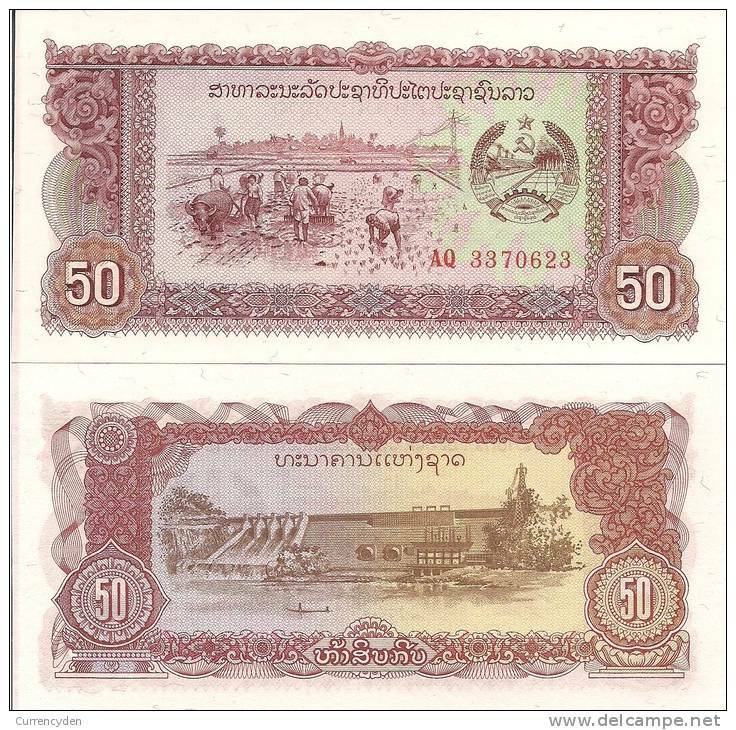 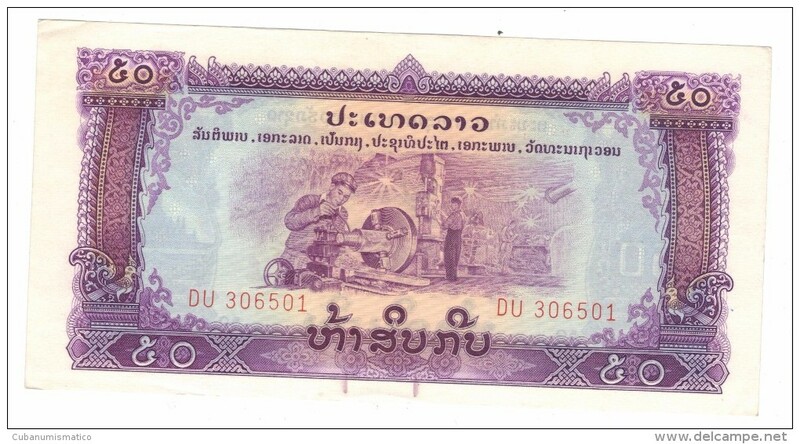 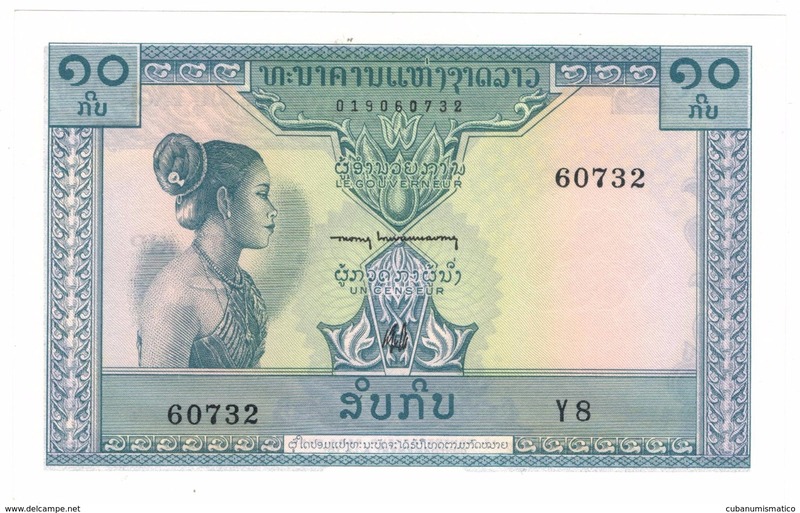 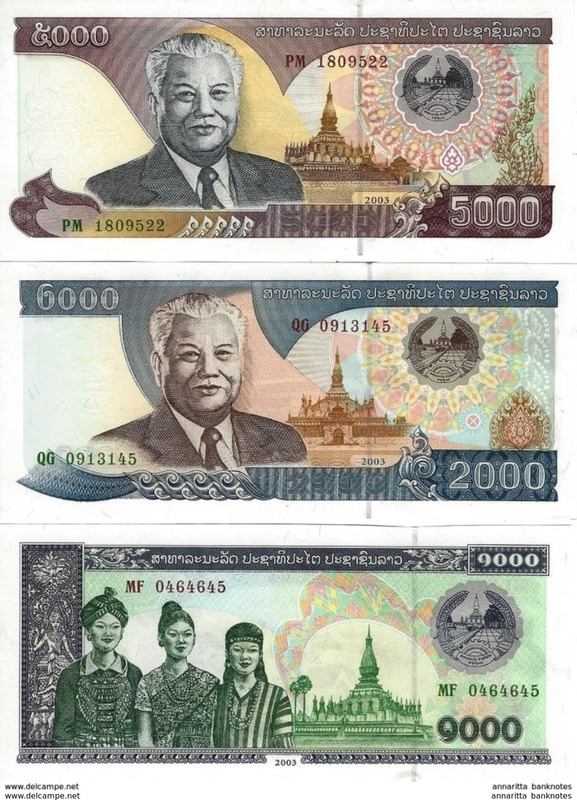 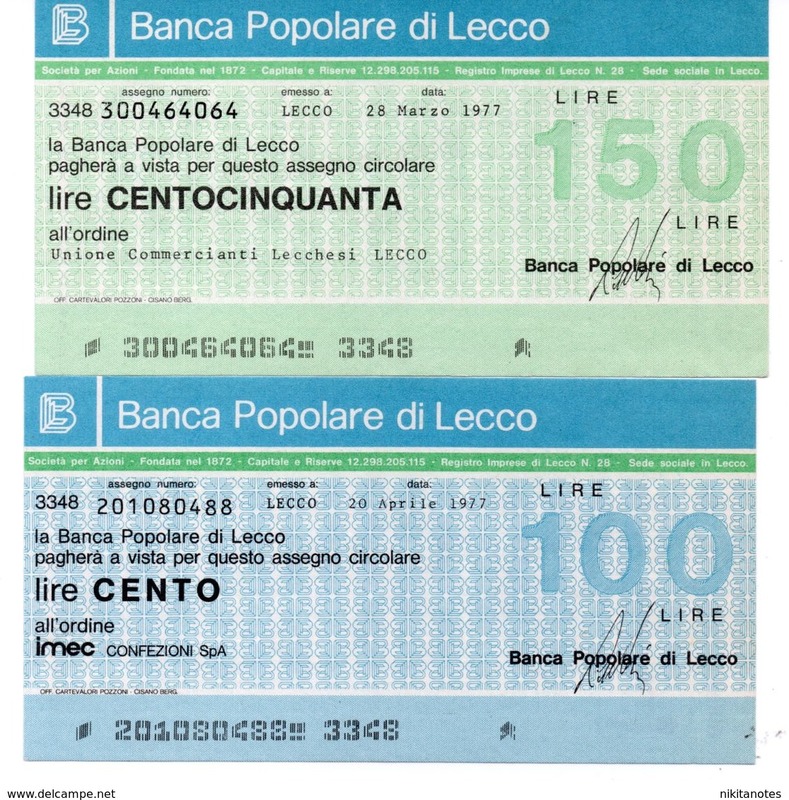 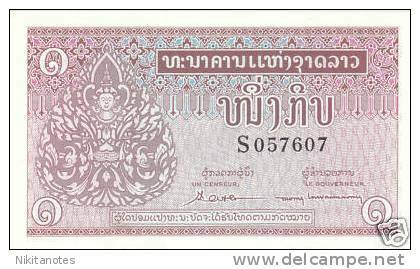 Laos 50 kip, P-5, 1957, XF. 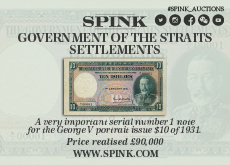 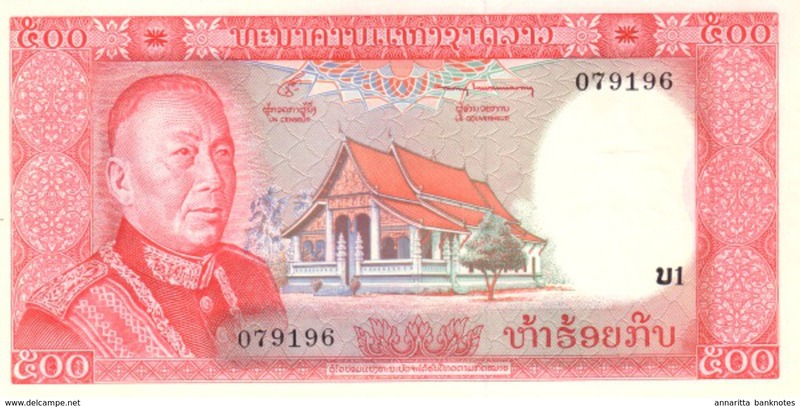 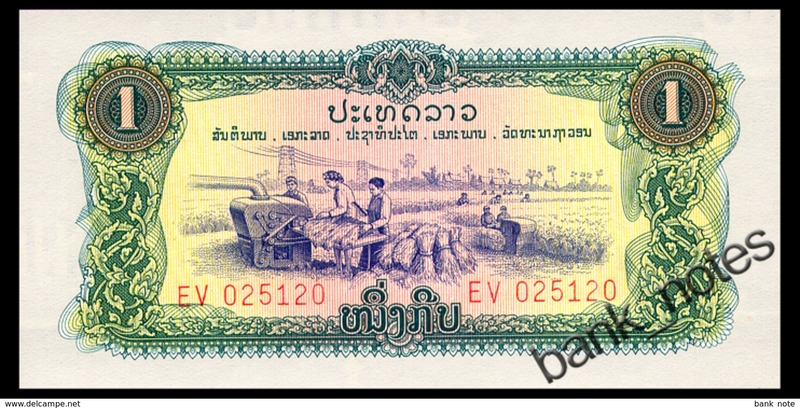 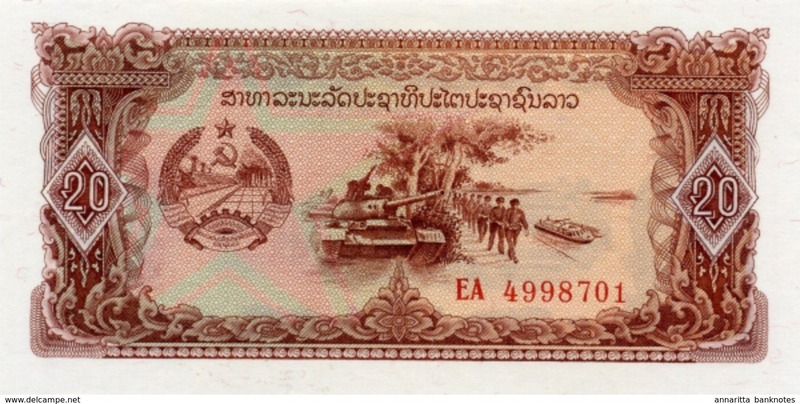 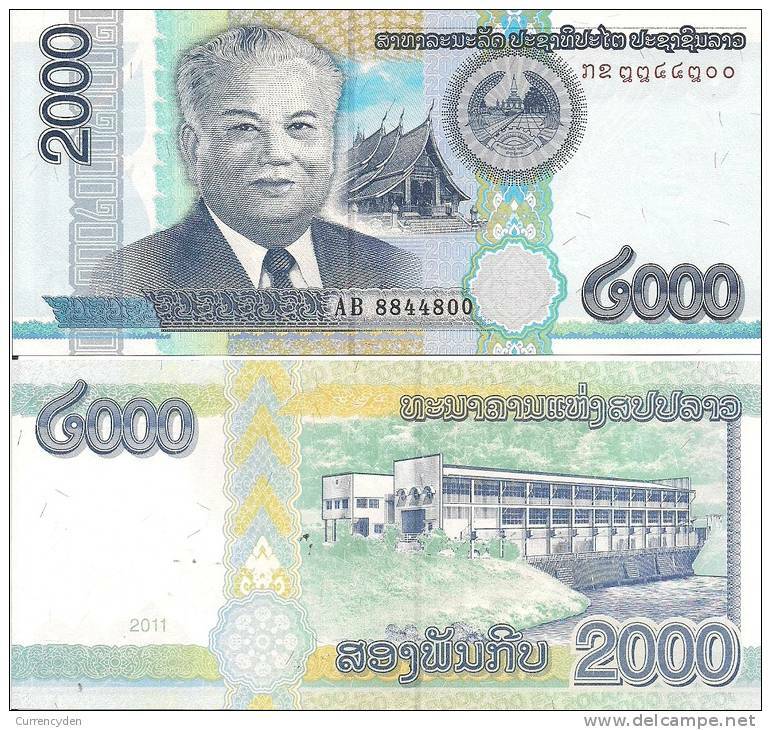 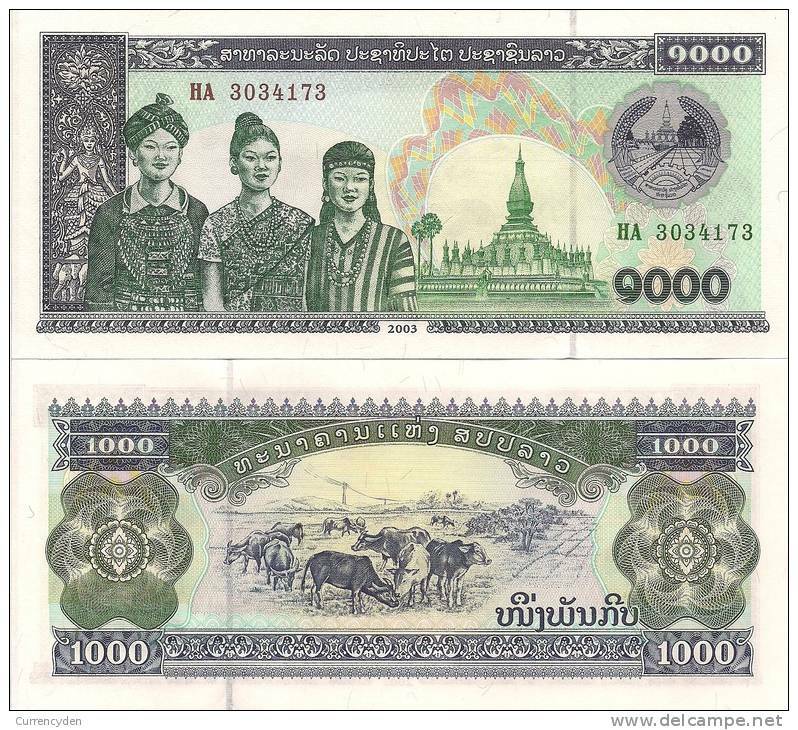 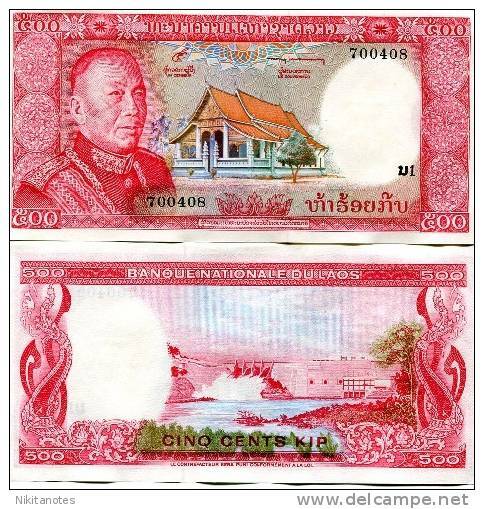 Laos 50 kip, P-5, 1957, VF. 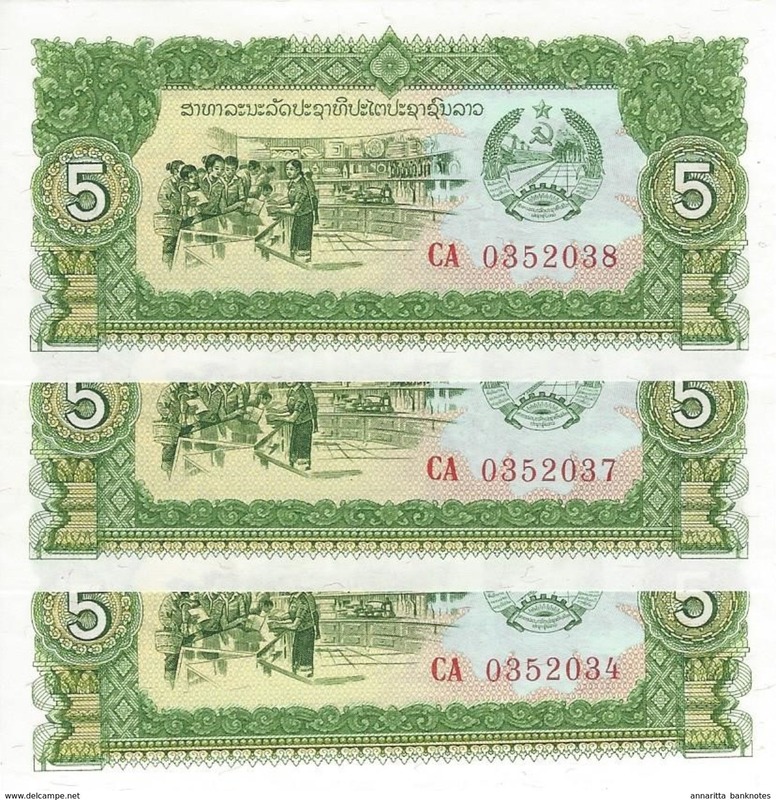 Laos 5 kip, P-3, 1957, aunc. 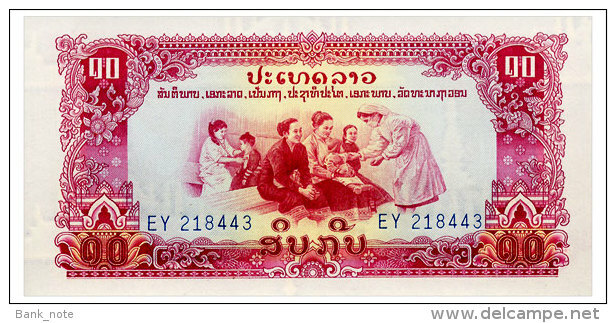 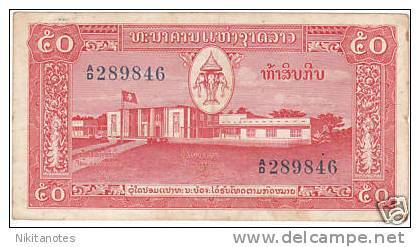 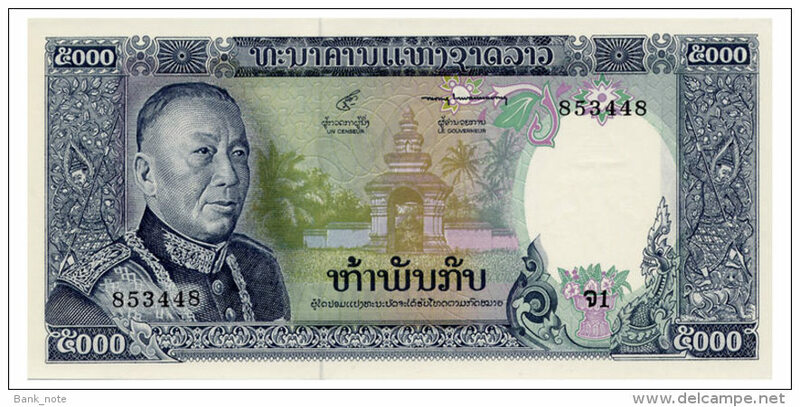 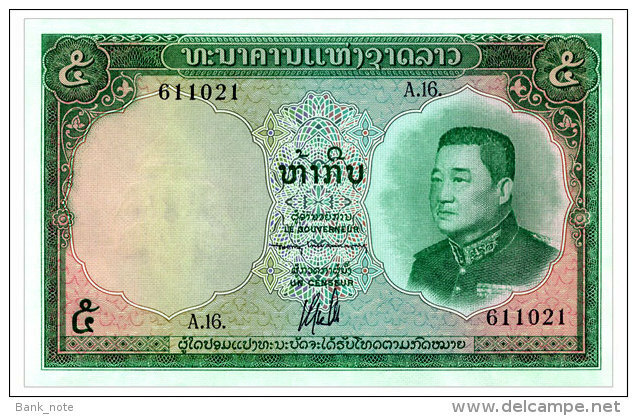 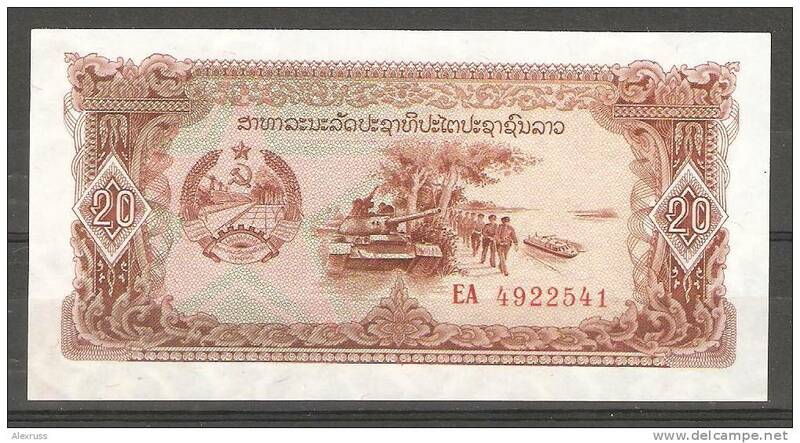 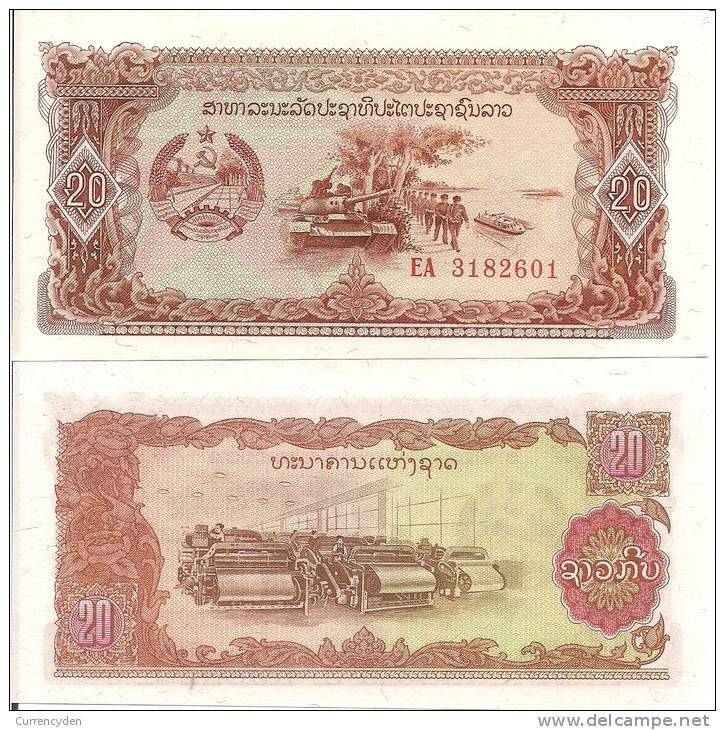 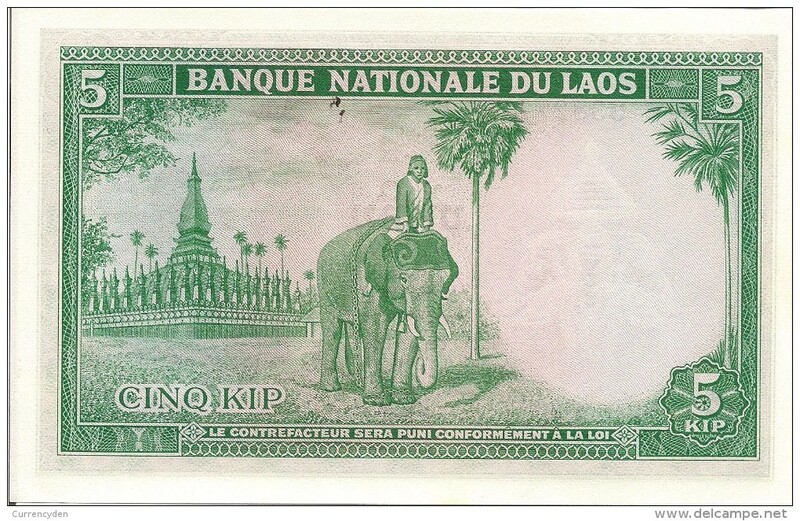 Laos 2 kip, P-2, 1957, VF+. 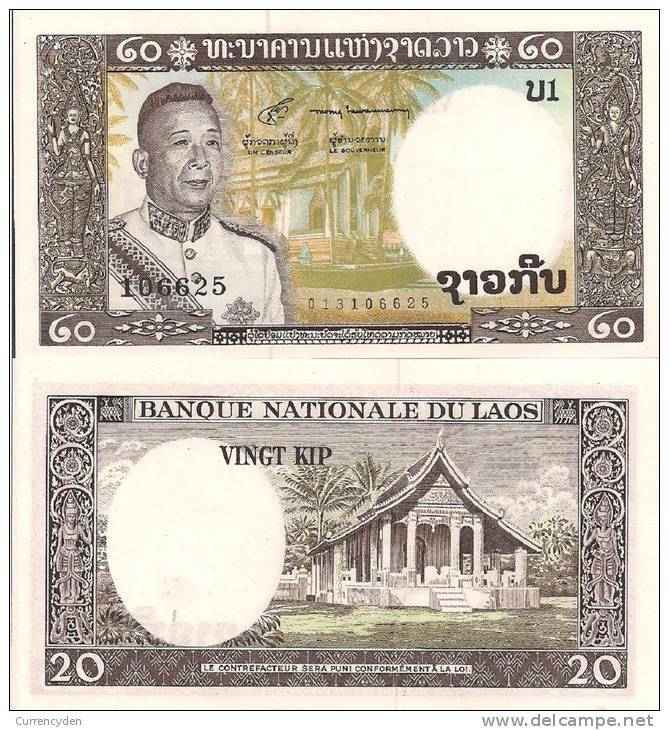 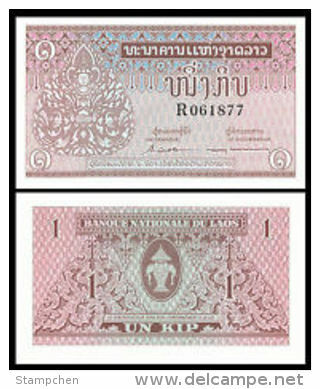 Laos 2 kip, P-2, 1957, XF. 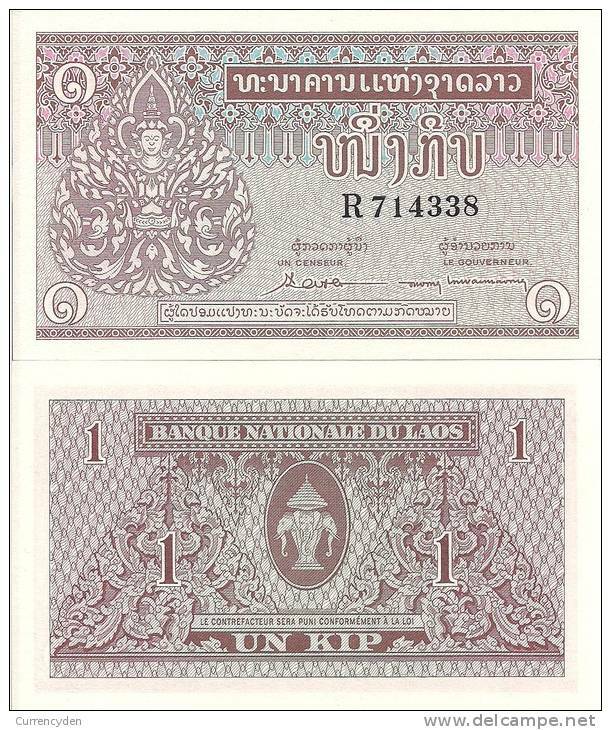 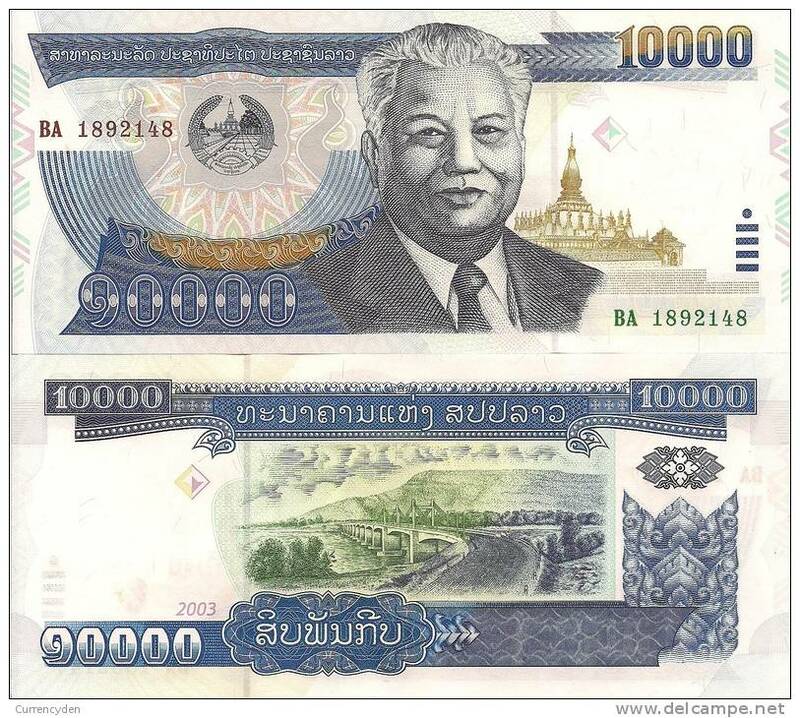 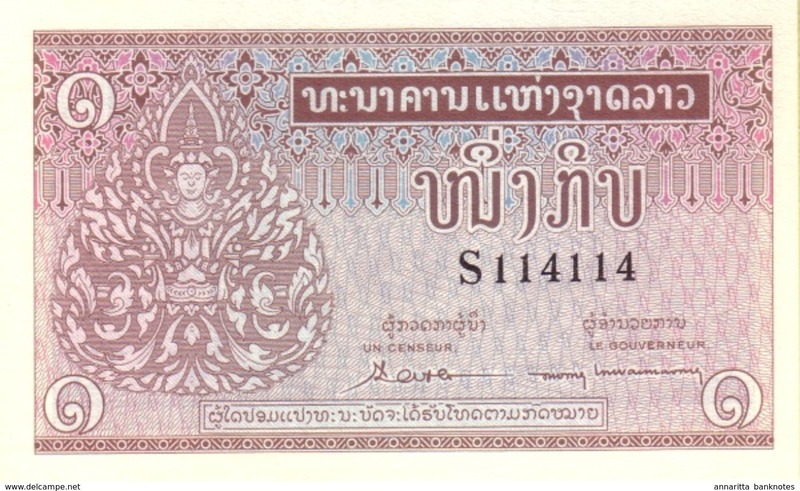 Laos 1 kip, P-1, 1957, XF. 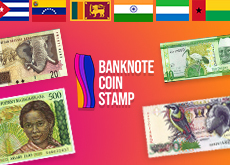 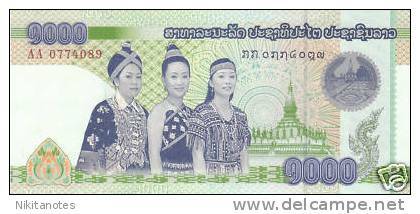 laos, 50 Kip, Pathet , aunc/unc. 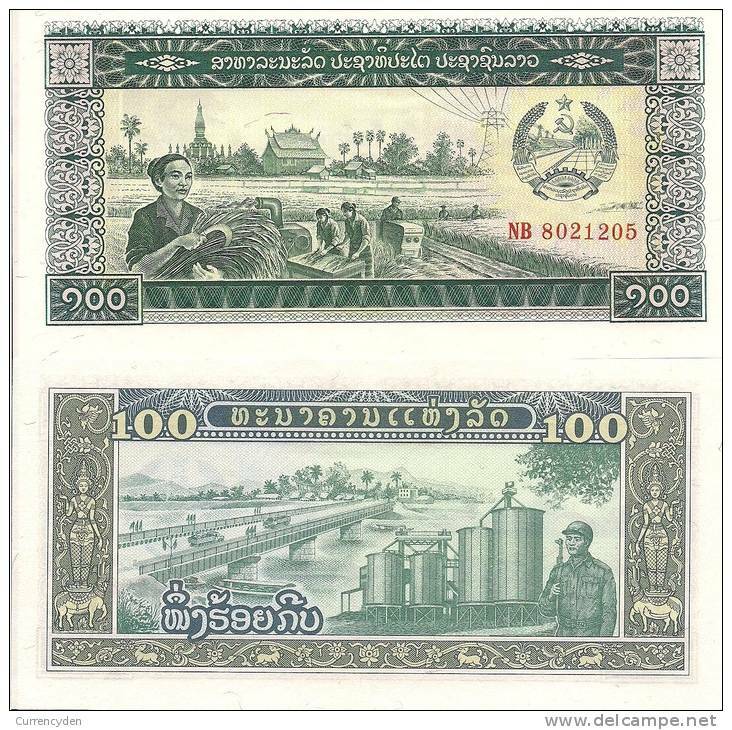 Laos P-31a, 500 Kip, irrigation system / coffee harvest, 1988 $3CV! 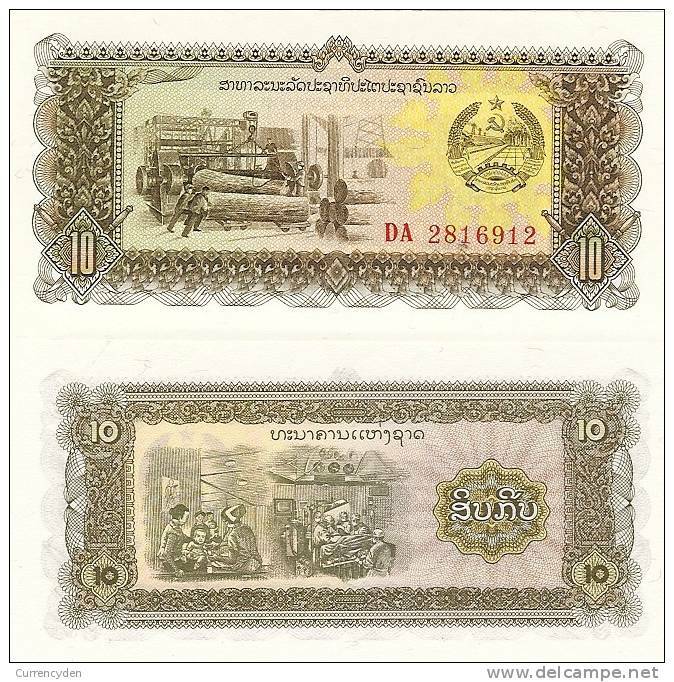 Laos P-20a, 10 Kip, Pathet Lao Issue, bush fighters preparing ambush! 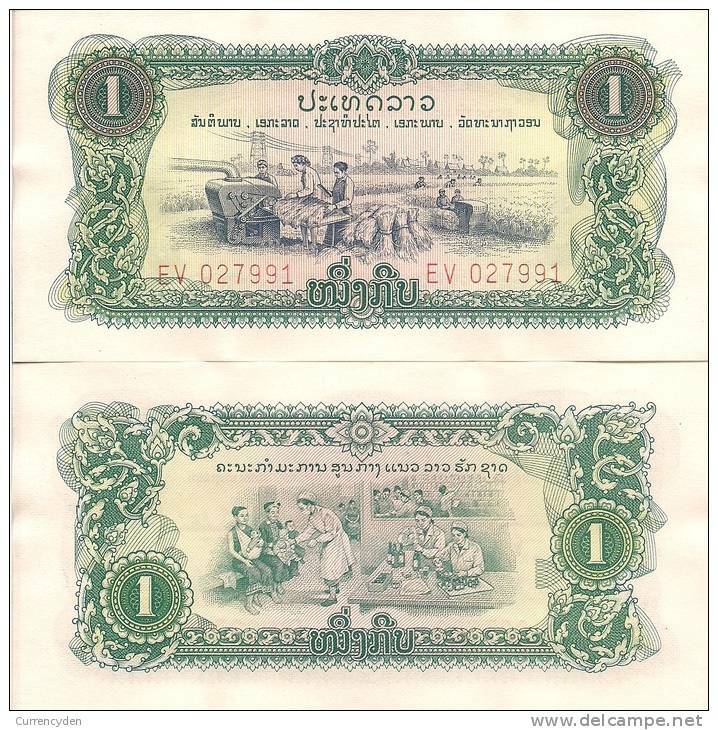 Laos P-19Aa, 1 Kip, Pathet Lao Issue - field work / madical care, 1968, $10 CV!! 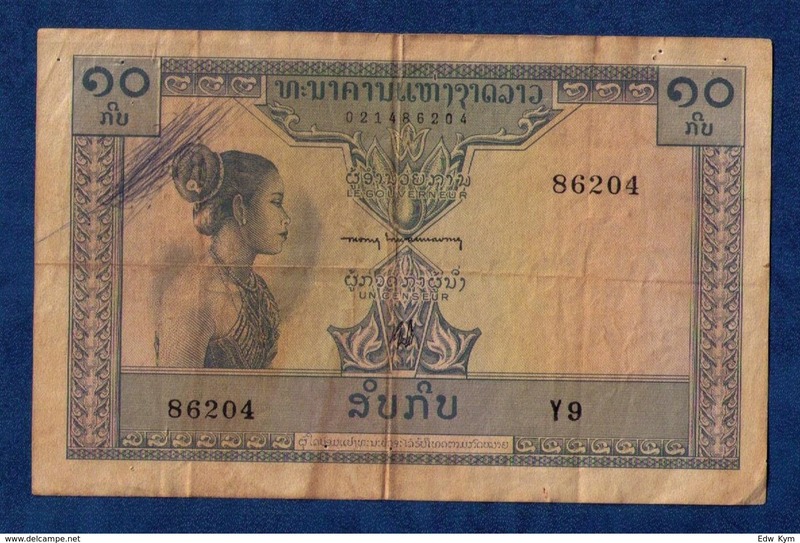 Laos P-10b, 10 Kip, elephant's head w/m, young woman, 1962 - VIBRANT!